The Taste of Traditional Sweetener – In Indonesia, granulated arenga palm sugar is called gula semut aren ( gula mean : sugar, semut mean : ant). According to old story it is because they shaped like a nest of ants on the ground which pulverized and loose. Meanwhile Aren is refers to the native palm tree, Arenga pinnata. 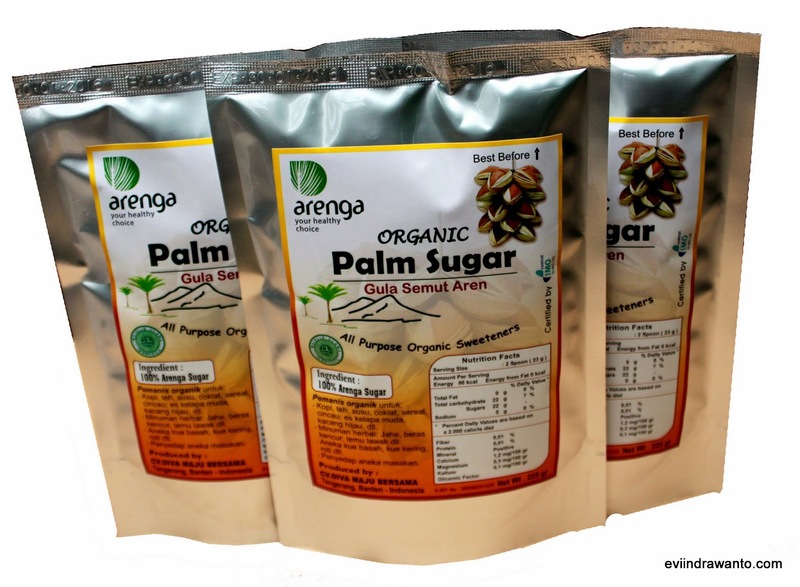 Arenga palm sugar is traditional sweetener that has been used for hundreds of years in a variety of cuisines of Indonesia. Not only in cooking yet palm sugar is also use in the healthcare industry. People in some villages have never use sugar cane even to sweeten coffee or tea. They believe that the palm sugar is much healthier and tastier than any other sugar. If you ever wondered what the taste of this Indonesian heritage of sweetener, the main are nice and soft sweet. Then follows a caramel flavor, similar to the natural molasses yet lighter. This flavor comes from fresh palm juice is processed by evaporation of their water content by heating in a cauldron over a wood-fired stove. Unlike mold palm sugar, the most popular form, these granulated Arenga palm sugar can be used for various purposes directly. It is very easy. Take a spoon and they will melt instantly in a cup of coffee or glass of milk. Weighed them as needed by your receipt and they are ready for cookies or cakes.